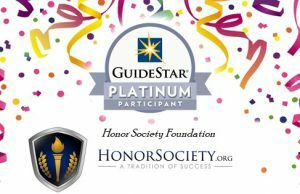 HonorSociety.org offers thousands of dollars worth of scholarships to members every month. You will always be able to find one to apply for because they provide options that range in focus from study abroad, community service and member spotlight to undergraduate and graduate achievement scholarships. If that’s not enough, they connect you to a comprehensive directory full of other scholarship options too. The applications are straight-forward, easy to submit and you’ll hear back from them usually within two weeks. Then if you’re a big winner, you get featured on their Facebook page and other social media outlets! 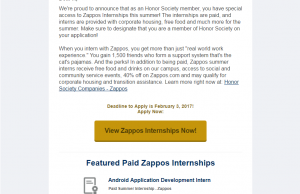 HonorSociety.org has a blog on their site full of articles relevant and beneficial to college students and those in the beginning stages of their careers. Through this blog, they offer writing internship opportunities that allow selected members to publish articles on the site. Not a journalist? That’s okay! They encourage students of all majors to apply because there are a plethora of different content categories they want people writing for! It’s a flexible, fun position that gives you great experience (and it doesn’t look bad on a resume either). One of the best things about this organization is that they give members many opportunities be leaders. They are actively searching for ambitious students who want to make an impact on their college campus opening or helping to run a chapter. By opening a chapter, you will gain invaluable leadership experience while building connections with students and faculty members that give you a lifetime network of professional and academic peers. 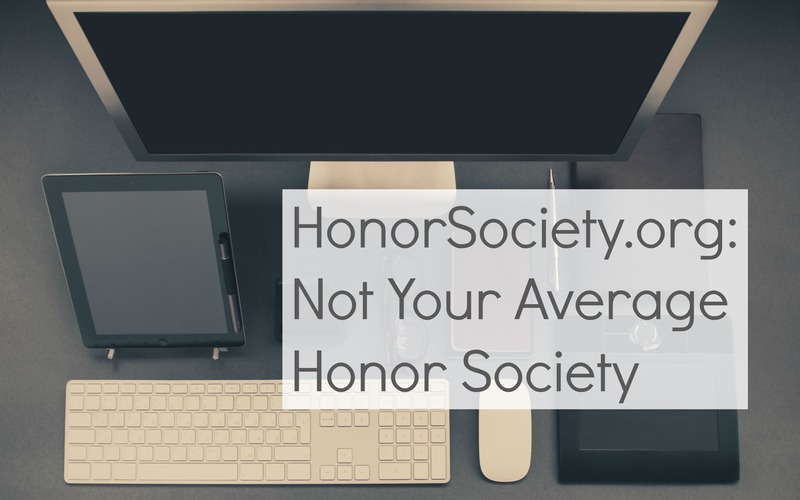 The awesome thing about HonorSociety.Org is they are an organization not just while you’re a student, but for life. One of the ways they make this known is through some of the career services they offer like giving members access to Vault.com. Through Vault.com, you as a member have access to over 100 industry guides and thousands of company profiles so you can really get to know what kind of company you want to work for. They even help you when it comes to the application process because they provide you with resume and cover letter templates that are specific for certain positions with advice on how to create your own. 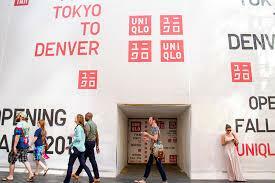 Member only trips are a huge plus to joining this organization. Last year they did an exciting trip to Los Angeles and this summer the organization is off to Washington DC! As a participant, you get to enjoy the nation’s capital filled with history and adventure all while networking with members of HonorSociety.org nationwide!